Like the never-ending party of New Orleans? Then you’ll love the only Mardi Gras-themed West Virginia Casino that offers non-stop excitement. Our casino is like no other. We have daily winners throughout the casino. From video and reel to progressive jackpots, there are 250 different varieties of your favorite games. With over 90,000 square feet of gaming entertainment, Mardi Gras is your destination. Check out the French Quarter restaurant for an exceptional meal. Join us every weekend for live entertainment at Louie's from 8 pm - 11 pm on Fridays and Satrudays. 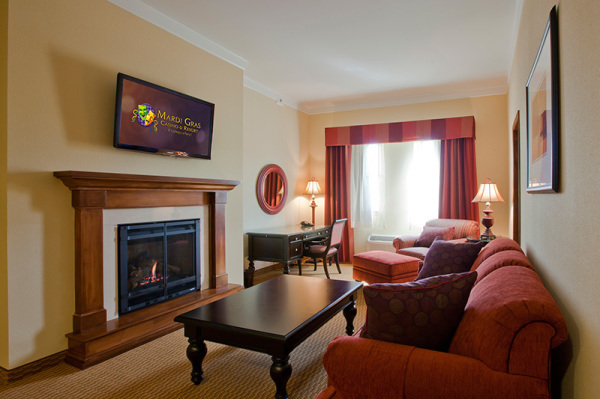 The Mardi Gras Resort has over 150 gorgeous rooms to make your stay extra special. When you’re craving big slot fun in West Virginia, hit Mardi Gras Casino & Resort — the only casino that has 90,000 square feet of gaming entertainment and up to 1,000 slot machines. Now, enjoy your favorite slot games outdoors. Located trackside, this slot area offers all the casino action and more! From old pros to enthusiastic new players, hitting the table games at Mardi Gras Casino & Resort will prove to be an experience of a lifetime. Whether the whirl of the roulette wheel or screams of delight from big winners, this West Virginia casino is the most thrilling place to be any day of the week. A Premier West Virginia Dog Track Capture the thrill of breathtaking Greyhound racing excitement at the Mardi Gras Casino & Resort. Mardi Gras Casino is one of the only West Virginia racing establishment that allows you to bet, dine and win—all in one place. If you’re looking to find some excitement in the restaurant scene, then check out the variety of dining options Mardi Gras Casino & Resort has to offer. There’s something for everyone from a quick bite between games to a luxurious gourmet dinner. Mardi Gras Casino & Resort has mouth-watering cuisine to pamper your every craving. Looking for a place to unwind and listen to some great entertainment? 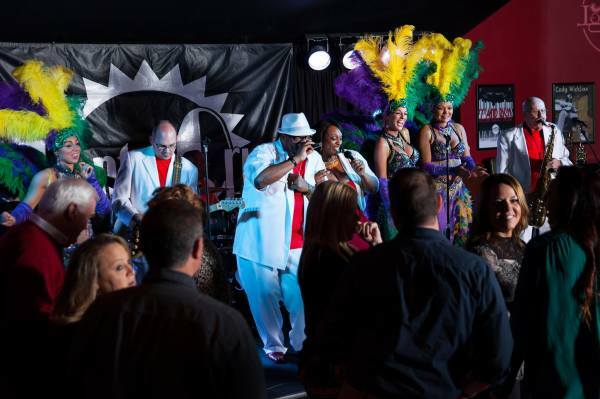 Look no further…that place is Louie’s, the premier entertainment lounge at Mardi Gras Casino & Resort! Enjoy a mix of great entertainment such as Motown, oldies, jazz, country, comedy and more! Dance the night away on Louie’s dance floor located directly in front of the stage and refresh yourself at Louie’s full-service bar featuring wine, specialty cocktails and craft beers. Why settle for less when you can treat yourself to more at Mardi Gras Casino & Resort? We have 150 gorgeous rooms ready to make your stay extra special. You can also unwind in Jackson Square Bar at the end of the day before getting the party started again. VIP members have full access to the Winner’s Circle Concierge Lounge for an evening reception.